It’s hard to imagine any one place having more shades of blue than Lake Tahoe. 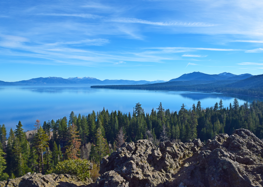 Surrounded by the peaks of the Sierra Nevada mountains and set along the California-Nevada border, Lake Tahoe’s waters range from cobalt to cerulean to aqua. 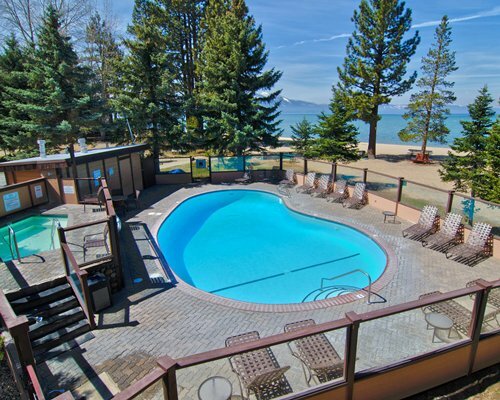 Yet the view of the lake is only one part of Lake Tahoe’s allure. Just about every type of outdoor sport can be enjoyed here. If you go during the winter, expect to find the mountains wrapped in sheets of white snow. 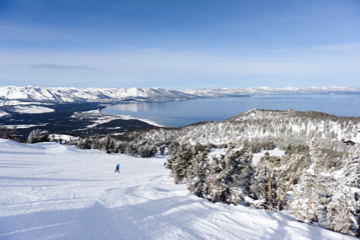 There are countless ski resorts in both North Lake Tahoe and South Lake Tahoe where you can make the most of life on the mountains with skiing, snowboarding, getting a massage at the spa, and sipping hot cocoa by a fireplace. Spring is a great time for golf and exploring the varied restaurant scene, from coastal Italian to Baja Mexican. In the summer, you can ski on the water instead of the snow. Active types spend their days on the lake, tubing, wakeboarding, Jet Skiing, and splashing around until their fingers turn to prunes. 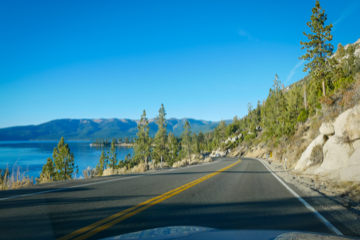 The adventure continues into the fall, along the hiking and biking trails that weave between towering redwoods and up the slopes that circle Lake Tahoe. Autumn in many places is about raking leaves and readying for winter. But high in the Sierras, it’s a carefree, kick-back season. While we heartily endorse a trip across the big pond for a ski vacation, you can’t go wrong with a trip around the big lake, either. 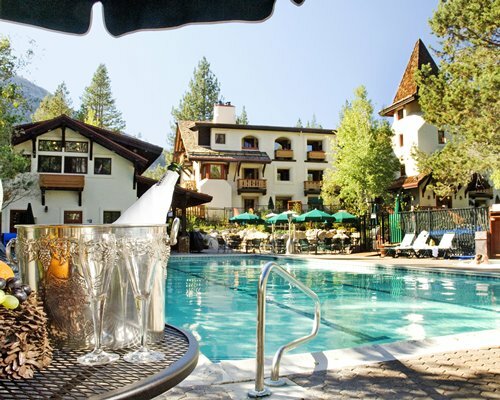 Tahoe-area spas offer the antidote to all this indulgence. 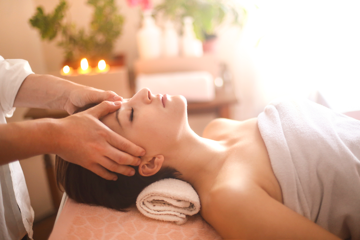 You’ll find treatments to help un-crimp muscles, flush out self-imposed impurities and rejuvenate your skin and your spirit. Iconic blue waters and a colorful past await visitors. 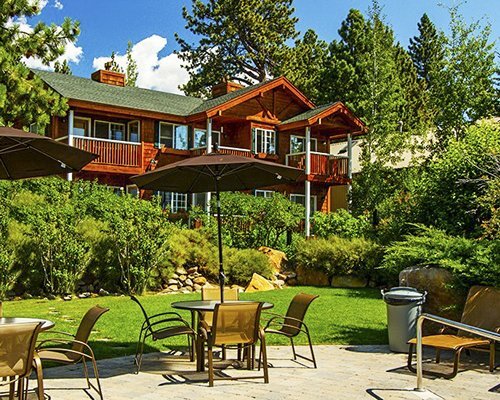 "Perfect location for active outdoor family or seniors wanting a quiet retreat." "Excellent location and excellent service." "...the costumer service ... has the ability to make you feel at home"